SIGNS AND BANNERS - Mesa, Gilbert serving the entire valley! Need signs for your business, school or other organization? Tower Media Group in Mesa AZ can help you design and produce the perfect sign for your needs. Whether you need a small sign for your office, a large sign for the exterior of your building or even display graphics and signage for a trade show or event... we can help bring your brand and your ideas to life. We also specialize in portable signs for temporary displays and sales presentations. EVENT BANNERS are the perfect way to get your name out there - in a BIG way! Whether you're advertising your business or promoting your next event, custom vinyl banners are an effective way to get your customers' attention. With several types of materials for both indoor and outdoor applications, you can print your message in full color to spread the word about your company, wherever you can! 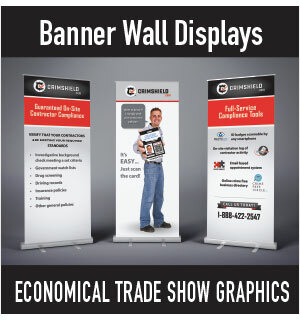 Ask about our discount prices on vinyl banners and pop-up banner stands. Don't forget to give us a call to help get a design started for your next event! Contact us to get started on your next sign or banner project today!